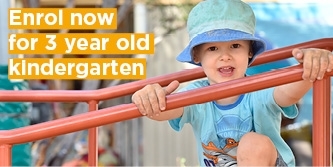 At Kealba Kindergarten we provide a safe and secure environment where children can express themselves and enjoy kindergarten. We offer three and four-year-old programs to support young children and their families. We respect children’s cultural identity and recognise each child as an individual with unique backgrounds, talents and personalities. Our professional and passionate educators ensure children develop in a warm, happy, safe and caring environment that caters for their needs. Our learning programs provide children with the opportunity to grow and develop through play – the way children learn best. Play-based learning encourages and stimulates children’s social, emotional, intellectual and physical development. We develop and implement high-quality learning programs responsive to children’s individual and group needs. We encourage children to contribute to their learning journey by sharing their ideas and interests with us. We provide opportunities for children to express themselves through language, art and imaginative play. Our educators balance group-based and individual activities to facilitate confidence, independence and self-esteem. These activities also help to develop social skills including cooperation, sharing, and awareness. 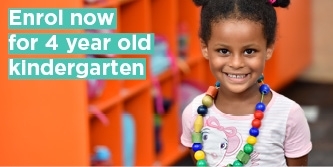 Our kindergarten features brand new facilities, equipment and resources. Our programs allow children to access comfortable spaces away from the main activity areas for relaxation and quiet activities. Our outdoor playground is home to trees, grass, mud, rocks, sand, vegetable garden and offers a range of rich learning experiences and adventures. We understand the importance of physical activity and incorporate this throughout our planned and spontaneous learning experiences. We're happy to share information about exercise and a healthy lifestyle with families. We also work collaboratively with family members, specialists and resource agencies to cater for children with additional needs.